Its Beanie Season! And one my of my favorite things to crochet. There are endless patterns (free and paid) to choose from. The colors choices and combinations of course go on and on. But then Pom or no Pom? Fur pom or yarn pom? Whatever you decide beanies are quick and easy and are great for craft shows and gifts. I picked a few patterns I wanted to share with you! Little Monkeys Crochet has a beanie that I fell in love with. It’s not crocheted in the traditional fashion of in the round from top to bottom or bottom to top, it’s crocheted very differently. You start at the top in the round, but after your third r ow, you chain and rest turns in to this beautiful pattern of bean stitches and camel stitches all incorporating both the brim and the body of the hat. 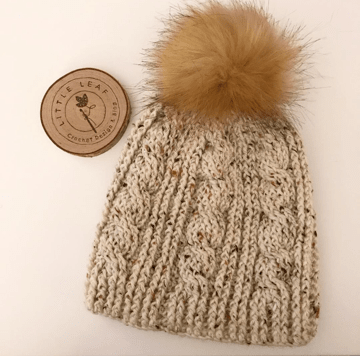 This beanie can be fitted, slouched or even a bun beanie. And the messy bun beanie used a hair elastic! That’s why I loved it. 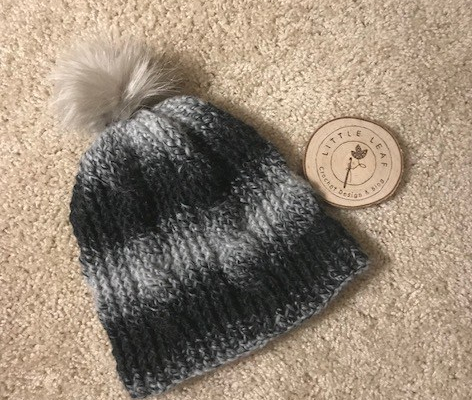 Three hats in one pattern! 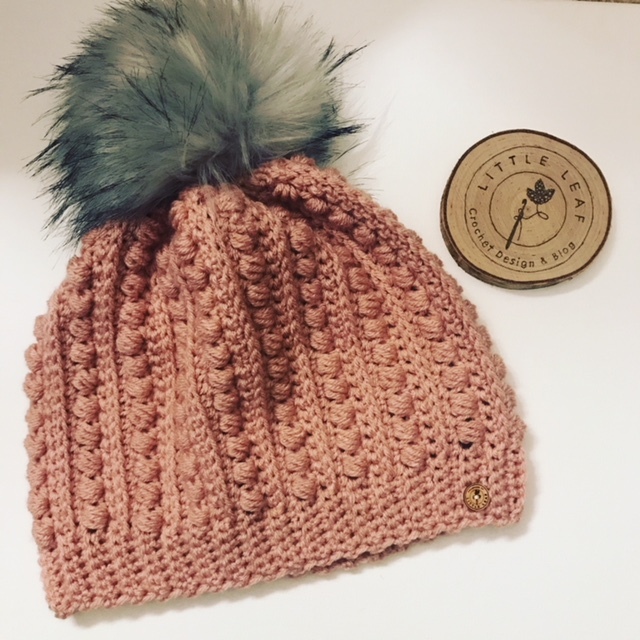 Head over to Little Monkeys Crochet and check out Her Malia Beanie patterns. I made both a bun beanie (white – left) and a fitted bean with a fur pom (rose – right). Yarnspirations has a Twisted Cable beanie that’s crocheted from the bottom up. I liked this one because I loved the crochet cables. This free pattern can be found on both Ravelry or Yarns pirations. And there is even a video tutorial which helped me understand a lot of the rows where the cables were made. I used two different yarns for each hat. The hat on the left used Lion Brand Scarfie in charcoal. I loved the softness and ombre effect I got. I topped this one with a silver faux fur pom. The hat on the right I used Caron Simply Soft Tweeds in off white and complimented it with a warm brown faux fur pom. I’ve already got my eye on that Caron Simply Soft Tweed in the Taupe for another beanie! I purchased my faux fur poms from a local Etsy seller. You can find her shop here. 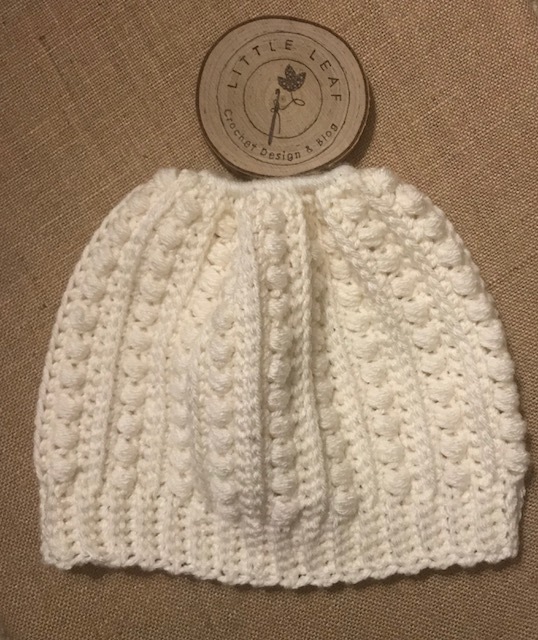 A friend asked for a hat set for her and her daughters. She mentioned she had a hat she already had and loved, but it was getting very old and probably wouldn’t survive the season. Checking my go to place, Ravelry, I found this Pearl Puff Beanie and it matched her current hat almost identically. She requested the bow addition to hers and the the girls. When creating the smaller beanies, I just chained less and omitted a row or two. Here you have mom size, child size and toddler size. 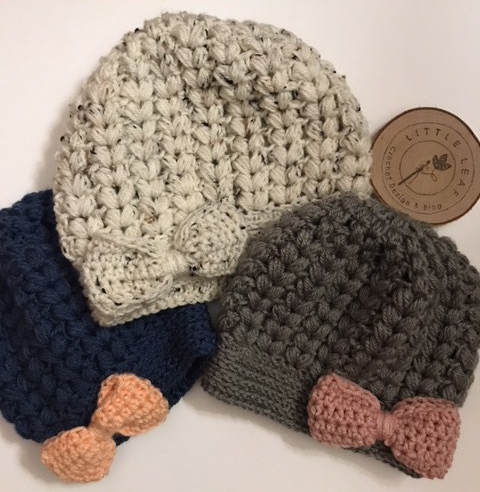 All three of these were crocheted using I love this Yarn found at Hobby Lobby in Ivory Tweed with matching bow, Dark Country Blue with a Light Peach bow and Greybeard with the bow in Rosy Cheeks. I love how the two puff stitches together form hearts. Its a nice fitted hat with some give and stretch where needed. I have lots of ideas in my head. I have been wanting to create patterns for awhile and many things have kept me waiting. First fear, yes fear!, of not being confident enough in what I could create. I guess that’s the norm when you are starting out. Everything is new and unknown But I have to try, right? Then there is the time not only creating, but writing it all down and making sure its usable and understandable. But I have lots of wonderful crochet bloggers who I’ve learned a lot from. I was crocheting another great designers pattern when a simple easy idea formed in my head. I immediately created it and wrote it all down. Then I used my own pattern to create it again and it seemed to flow nicely. I then asked a couple fellow crocheter friends to test my pattern and report back to me her critique, corrections, etc. Edits could still be made, so please let me know you see anything wonky! 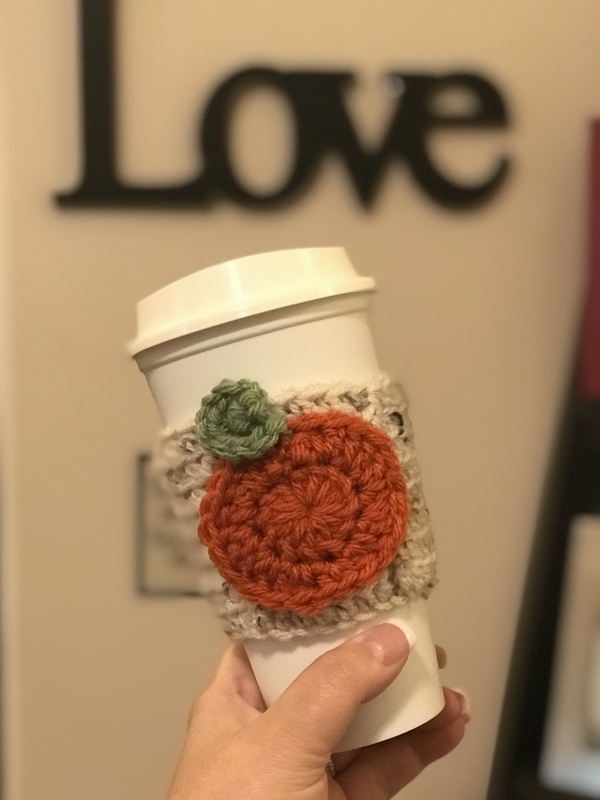 I am pleased to announce my Pumpkin Ridge Cozy! 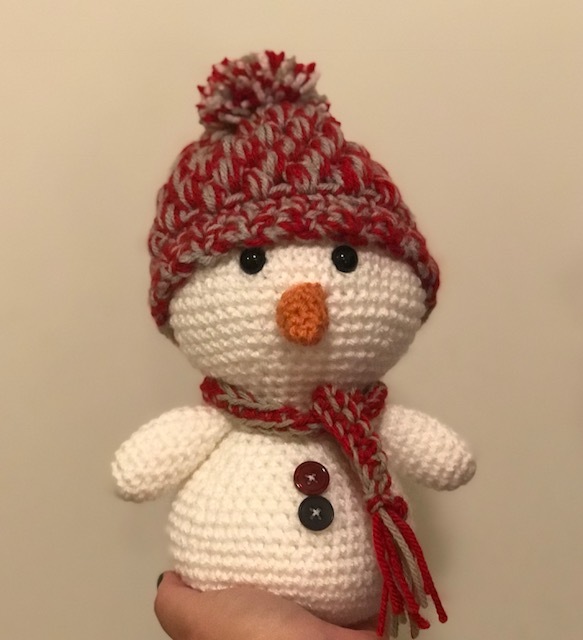 I decided to start small and simple with my 1st pattern. But this is huge for me! I absolutely love fall and all things fall. When this pattern came about, I thought of a pumpkin sitting on a fence and I feel that’s exactly what I created. I hope you like it too. The pattern can be found here and it is FREE! 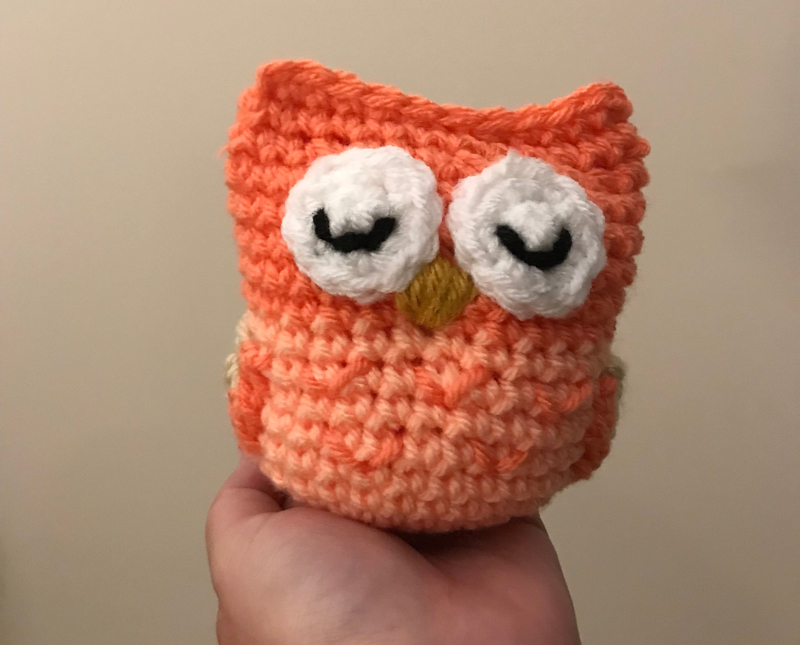 Since starting Little Leaf Crochet, I have met some great people and discovered some amazing makers. I love that as I grow I can support others to grow too. I wanted to share with you some of my recent loves. 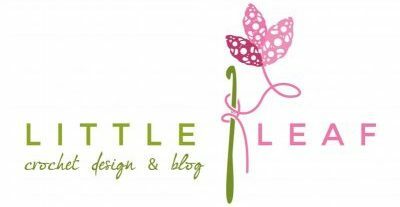 First, as a new blogger and crocheter, I needed a logo. I love pink and green and oddly enough I also love Fall, so I combined my favorite colors with leaves. And the staple crochet hook of course! Working with a designer I found on Etsy, WhimsicalLogoShop was an absolute pleasure. She worked with me on color tone, style and many changes. I later contacted her for more upgrades and additional files and she was quick to respond and very helpful in explaining to me on how to use my logos. 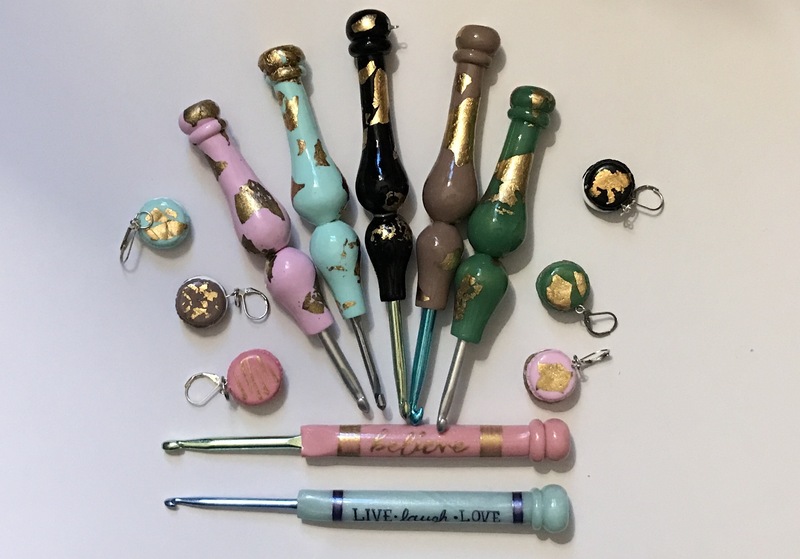 As you have seen from some of my posts, I have a growing custom crochet hook collection. Some I use all the time and others I consider too precious and they are on display in my home. In my logo is a crochet hook and, for me, I believe the crochet hook is the main symbol of crochet. I have purchased many hooks from many makers. All are amazing and unique and expertly crafted. Featured here are my Midas Touch Gold Leaf Ergo hooks from HarperBabyshop I love the comfort and the style and my two custom slim hooks “Believe” and “Live Laugh Love”. Angie is a great artist and a very sweet person I have loved getting to know. I recently saw a giveaway for a wood logo where the maker burned the birch with the design. I immediately had to have one. What a unique and clever way to display your logo organically. Rachel at WoodBurnCorner did an amazing job. You should check her work out. She has a variety of items she can customize for you on beautiful wood pieces. Being a crocheter, I wanted to label my work in some way. Whether hats or sweaters or afghans. I purchased two forms of doing this. Fabric labels and wood button labels. Both turned out amazing and I am so happy using them. 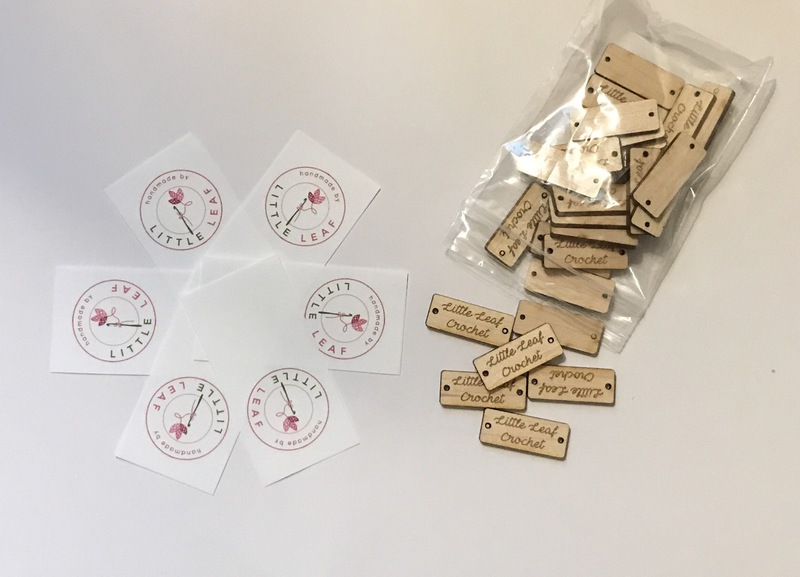 I got my wood tags from MapleAndRose and the fabric labels from BorderCityQuilts. Both shops were very easy to work with and made sure I would be happy with my order before they began to make them. Thanks for letting me share with you some amazing makers. Maybe I will do this more often. The world is full of talented and hard working people. They all deserve to be featured! My first ever graph-gan (an afghan crocheted from a chart or graph) crochet along has come to an end. I never thought I would do one. It didn’t interest me until I was invited to join in on one. I’m glad I got that invite! 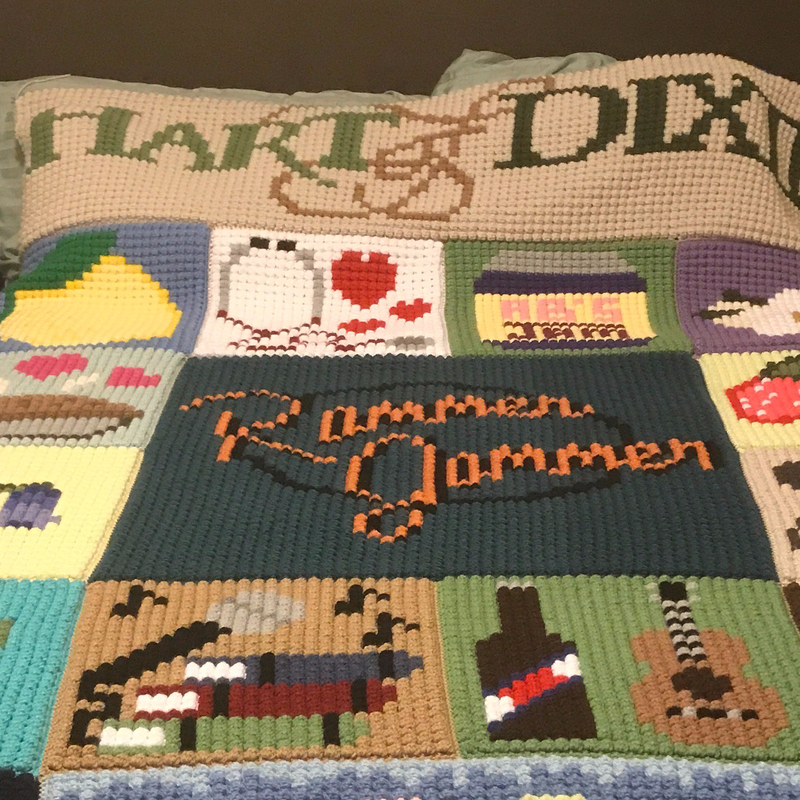 17 amazing blocks created by Jamie at Hooking Housewives for the show “Hart of Dixie”. 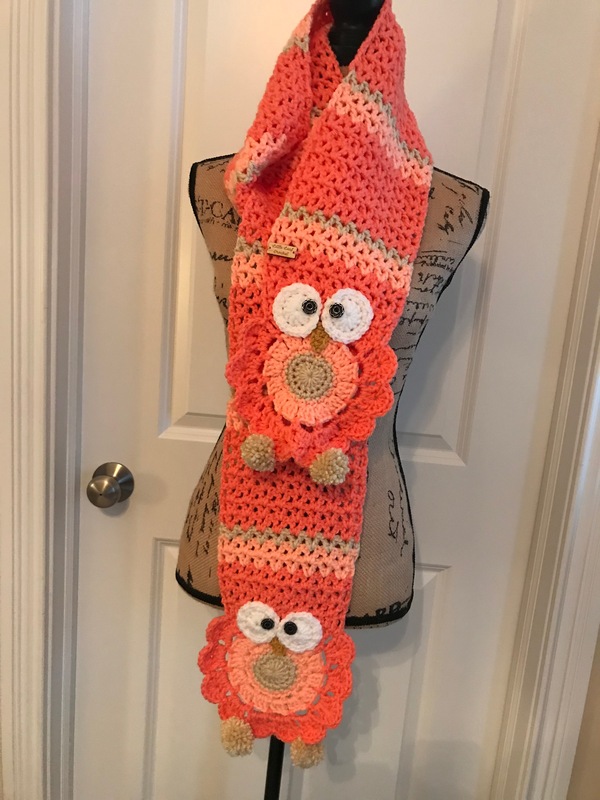 All were crocheted using the bobble stitch in Hobby Lobby’s I Love This Yarn. And one amazing themed polymer clay ergonomic crochet hook from Hook-N-Clay. I had fun. I really did. I loved the show and re-watched it while crocheting on Netflix. I learned a new stitch that I originally found intimidating. But once I got the hang of it, I found myself enjoying it and making other items for myself. 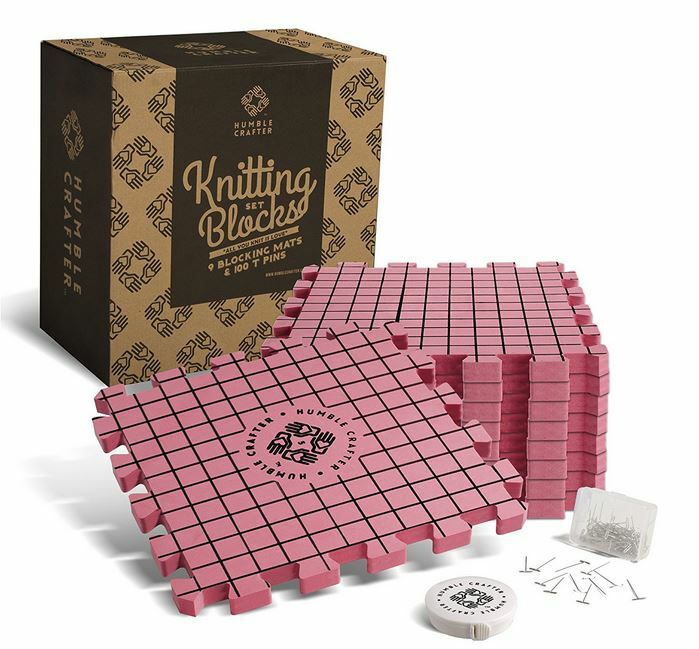 Each block popped in the bobble stitch. The bobbles gave the graphs an extra punch. The only con I have to share is that the bobble stitch is time consuming and a major yarn hog, but it is worth it. Don’t be afraid to try it. I know you will be happy you did. 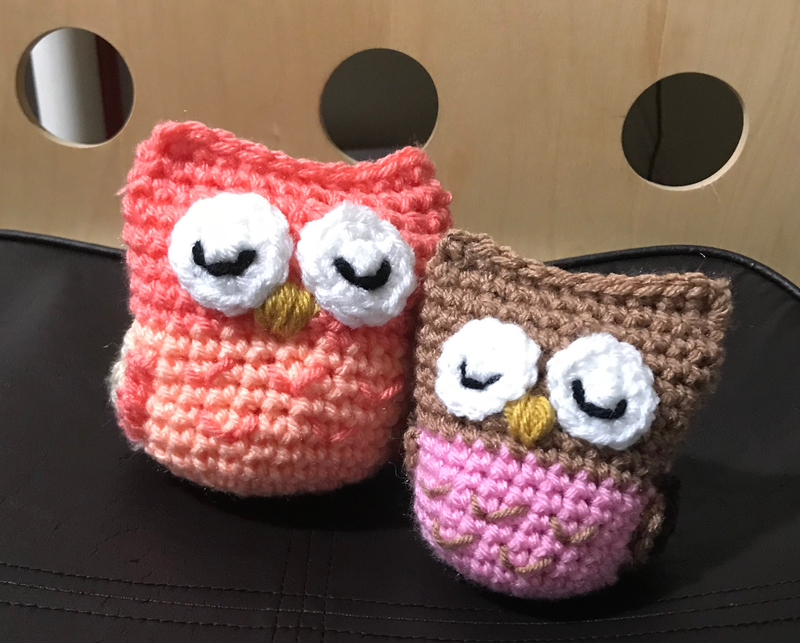 Brittany at Bhooked Crochet has a great tutorial on youtube. I am now ready to begin my next CAL with Chaos and Chop Suey and her Grease Themed graph-gan! I will be using the same yarn, because it truly is great yarn, and a different stitch. 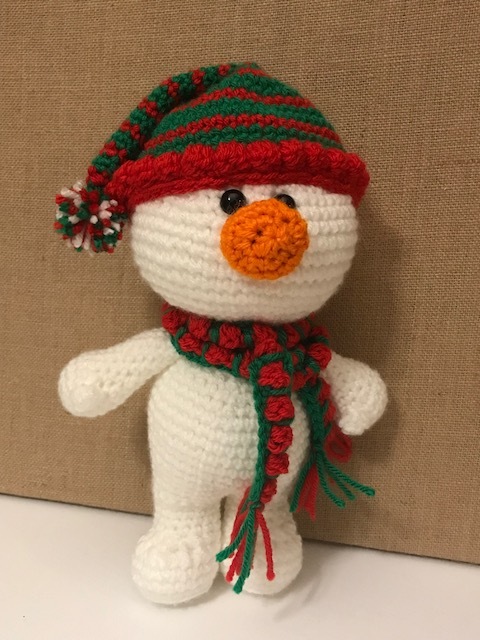 Mini C2C. I have been invited to participate in a project for a great cause and I am so excited. 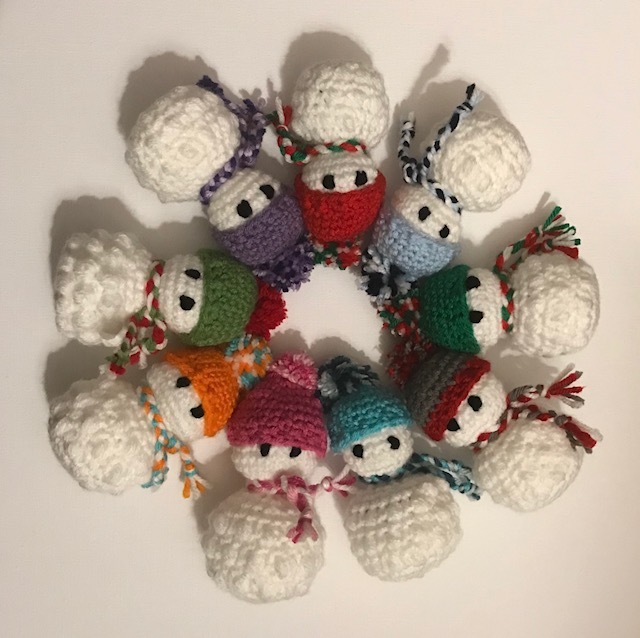 This is the first project I have ever been invited to with a group of crocheters and I am honored. 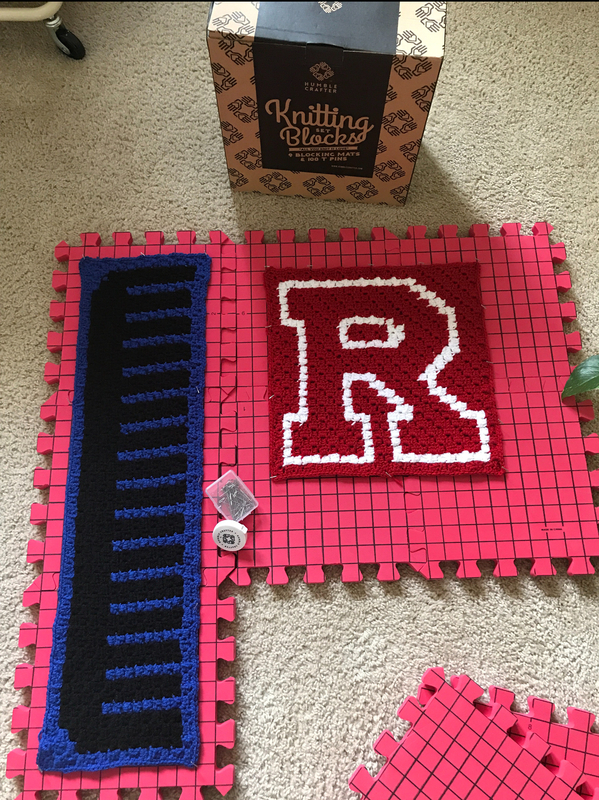 I am one of 35 makers, each crocheting 1 block of a 35 block afghan that will be raffled off later this summer and 100% of the proceeds will be donated to St Jude’s Children’s Hospital. This is such a great project and a great mingling of ideas and minds. Our afghan is going to be gorgeous and we can’t wait for all of you to see. 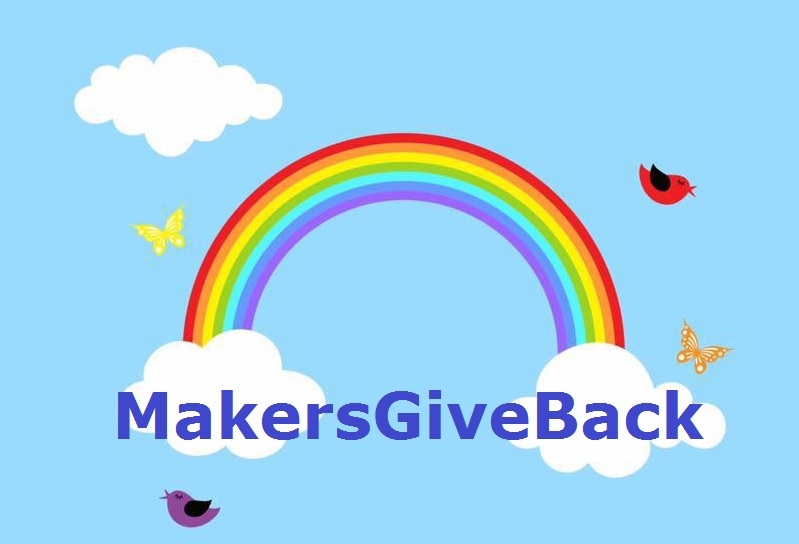 Follow our group @MakersGiveBack on Instagram or my page here for more details as they come available. You will see sneak peaks of the blocks in progress, finished blocks, and more details about the project. Having only started my blog less than a year ago, this is the goal I had in mind. Working and crocheting with other like-minded artists. Doing things for good, meeting great people and doing what I love best. Crocheting!